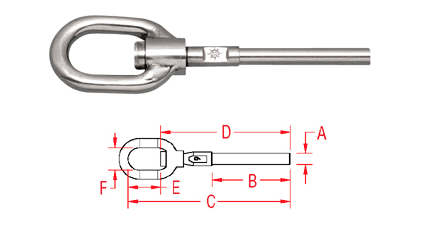 Make lifeline installations painless using the Hand Swage Swivel Gate Eye. Use the gate eye at one end of the opening to attach the pelican hook. This hand swage fitting is made from grade 316 stainless steel for maximum corrosion resistance and durability.